There are many, many reasons to love banana bread, not least the way we can pretend its existence is necessary. 'The bananas were about to be thrown away!' one might say, excitedly mashing up the ripe, sweet fruit which, without heroic intervention, might've gone to waste. A slice of banana bread, lightly toasted with a little butter, makes the ideal breakfast on the go – good news for those with a sweet tooth as it is, for all our bandying about of words like 'loaf' and 'bread', essentially a sweet, buttery cake. Browse our collection of banana bread recipes to discover your new go-to bake when you find your fruit bowl's a little on the turn. 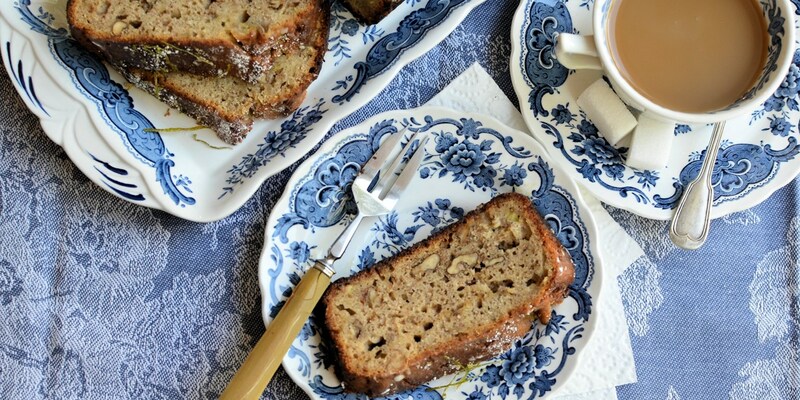 For a delicious, squidgy cake you can put together in just one hour try Victoria Glass's Gluten-free banana bread, a fantastic vegan cake recipe to have up your sleeve. There are some variations on the classic banana bread to cross the line from sweet snack to dessert, too, including Sophie Thompson's Banana bread recipe, drizzled in a creamy toffee sauce, or Karen Burns Booth's Banana and walnut bread with a crisp, sugary topping inspired by lemon drizzle cake.